Audrey J. Jaeger is building bridges between NC State science and engineering undergraduates and local elementary students who are interested in being scientists. 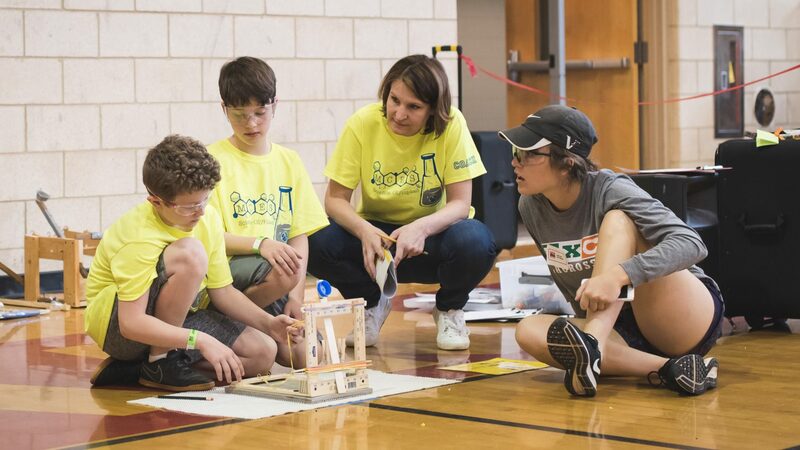 Jaeger has coordinated a team of NC State undergraduates, including students from the Women in Science and Engineering (WISE) Village, to serve as coaches for Science Olympiad teams at Middle Creek Elementary School in Apex. These coaches worked with students weekly beginning in January through the Wake County Middle Creek regional Science Olympiad competition on April 1. The Science Olympiad is a project of the College of Sciences’ Science House at NC State program. We talked with Jaeger, professor of higher education and Alumni Distinguished Graduate Professor in the NC State College of Education, about this relationship and the impact of her work with these elementary students. This interview has been edited and condensed. 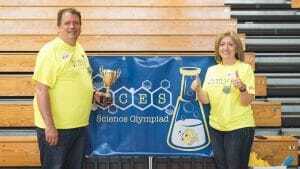 My co-head coach (Robert Sandruck of the Poole College of Management) and I got involved initially with Science Olympiad by coaching our two daughters in their Science Olympiad program. I noticed how Science Olympiad changed kids’ perceptions of science and got them excited about everything from rocks to rockets. And as a coach, I wanted to get more girls/women and underrepresented students involved. I contacted Kathy Titus-Becker (director of the WISE program) and said, “I’d love to bring some undergraduate women into the program,” so the kids at the elementary school could see what scientists look like. Last year, we brought two female NC State students in as coaches, and they really enjoyed it. Seeing them interact with the kids was wonderful. The NC State students would get on the ground and work with the kids, and they were really successful. Each of their teams medaled. This year, I went back to Kathy and said I wanted to get more students involved. We ended up with 14 NC State students, both females and males, as coaches. And most of these undergraduates had some Science Olympiad experience. They have such great energy and excitement about working with the kids. What do these undergraduates do? About 10 of the NC State students are full-time coaches; they are the primary contacts for the event and working with the kids. The other students work with teachers or parents as co-coaches. The undergraduates understand the material and show the kids what science is all about. The girls participating get really excited about seeing other girls doing science. One of the 4th grade girls said, “Did you know I have three girl coaches?” Kids notice who’s leading them. The undergraduates also want to get kids excited about science and let them know that this is an option for them. They aren’t just trying to get their teams to win. They talk about NC State, their majors and their classes. They create a culture for these kids where the elementary students see college as a real option. Just by sharing what they do every day, the undergraduates get the kids one step closer to being scientists. Why do you think it is important for the young students to have these undergraduates as coaches? At every decision point in your life, role models are important. Especially because so many students are told they can’t do science, positive role models are critical. And unfortunately, girls are often told they aren’t good at science or math or that boys are more likely to be scientists. Every little bit that we can do to change these perceptions will influence kids’ decisions about what they want to be when they grow up. Because the NC State undergraduates are closer in age and experience to the Science Olympiad participants, they can easily connect with the elementary students, perhaps more so than their parents or their teachers. The elementary school kids can see themselves in the shoes of these undergraduates and picture themselves as scientists. The NC State students remember what it was like to be in Science Olympiad. They remember their own experiences and can share these perspectives with the kids. How do you hope this relationship will continue to grow and develop? I hope to have more students who have been involved in Science Olympiad serve as coaches. We currently have two high school students at Middle Creek High School who are also coaches. They enjoyed Science Olympiad and are still involved in the program at the high school level. These two students want to go on to NC State, so hopefully we can get them and other former participants involved. It’s a great pathway to a career as an engineer or scientist. The more role models young kids have in STEM fields the more likely they are to consider those fields. The North Carolina Science Olympiad Program is housed at NC State, so we should be connecting the program to every school we can. We have some initial data that show that more than 1,300 students at NC State have been involved in the Science Olympiad program. The Science Olympiad program is fostering the development of our future scientists and engineers, and I hope we can continue to support the program. These NC State undergraduates want to give back. They want to do the things that someone did for them that helped them become scientists. This gives the NC State students the chance to influence the lives of kids and help them become scientists who coach their own Science Olympiad teams someday.